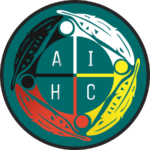 In Washington State, the tribes and local health jurisdictions in Public Health Emergency Planning Region 2 signed a Tribal-Public Health Mutual Aid Agreement in 2009. The tribes and local health jurisdictions in Region 1 and Region 3 are in process of developing and executing similar agreements. The regions have agreed to share documents relevant to their Mutual Aid Agreements on password protected web pages. Each region has its unique document share page. Every partner must develop internal processes to assure all personnel who may need access to the region’s share site has the password. If a partner experiences difficulties accessing the share page, support is available via email at lou.schmitz.aihc@outlook.com or via phone at 206.949.3541.